A participant experiences a hand cycle for the first time. American participant works with youth to demonstrate strength training techniques during a workshop with sport coaches in Gyumri. 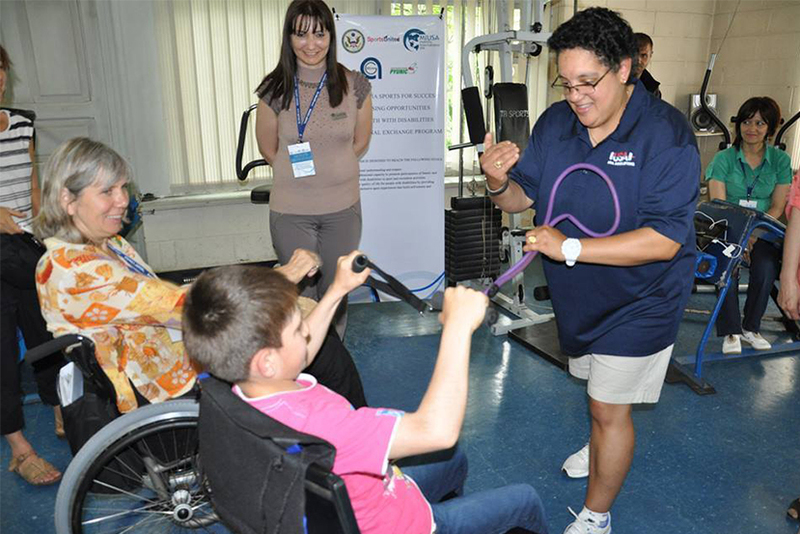 American participants visit MIUSA's in-country partner organization, Pyunic, for a tour, cultural orientation, and discussion on issues impacting sport opportunities for youth with disabilities. 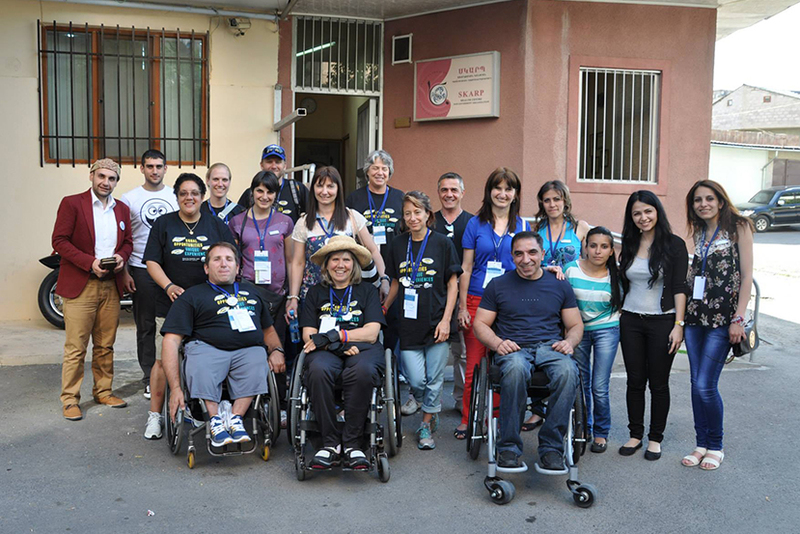 An American participant leads an adaptive aquatics training for Armenian swim instructors. 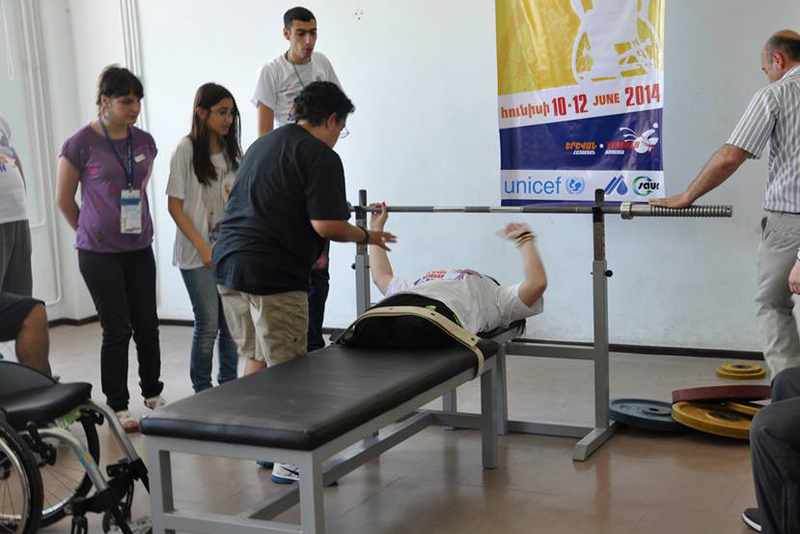 An American participant assists an athlete with their bench press. An American participant leads a demonstration for coaches and athletes in Armenia. An Armenian participant hosted the American delegation at the SKARP office. 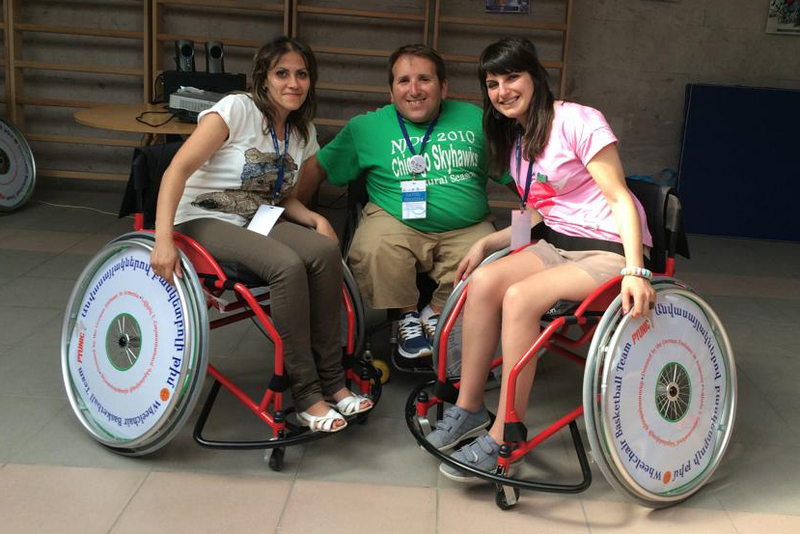 Armenian participants who will visit the U.S. in September 2014 experience sport-wheelchairs with an American participant. 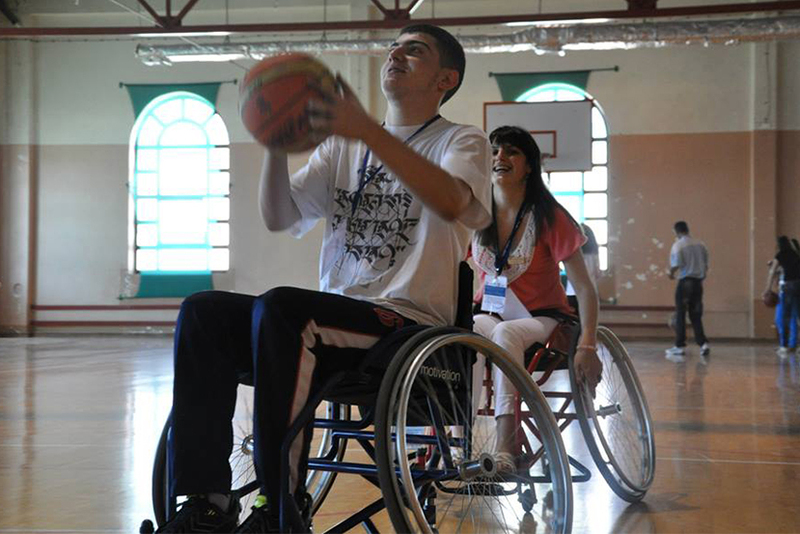 A youth participant goes for the shot during wheelchair basketball. 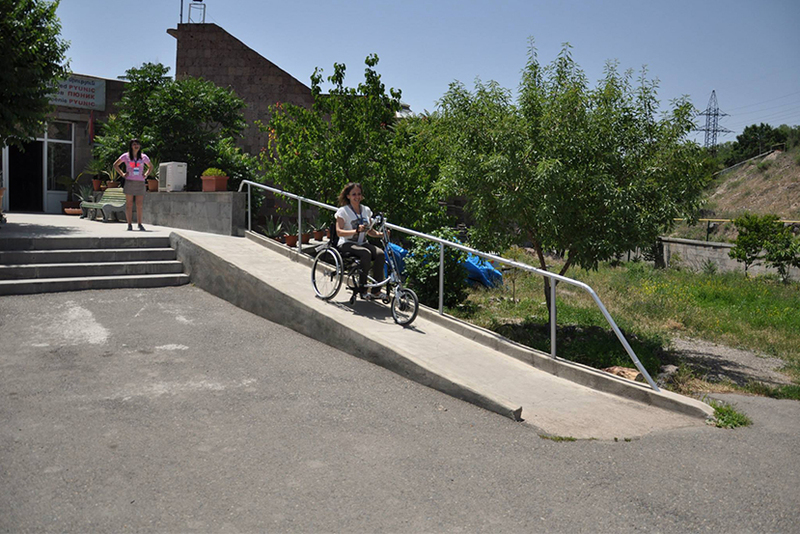 Mobility International USA (MIUSA) is collaborating with the Pyunic Armenian Association for the Disabled and the Agate Center for Women with Special Needs in Armenia to conduct a two-way exchange program, bringing together athletes, sport leaders, and professionals with and without disabilities from Armenia and the U.S. to expand opportunities for youth with disabilities to engage in sports. MIUSA worked to introduce new non-elite sports and build the capacity of disability sport programs through partnerships, outreach to new constituencies (including girls), and adoption of new community-based models. 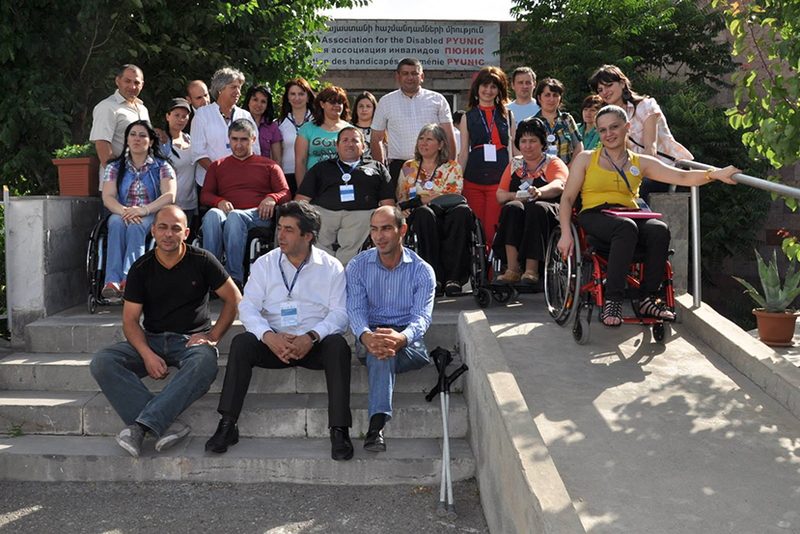 Learn more about MIUSA's partnership with the Pyunic Armenian Association for the Disabled on MIUSA's website.